You can watch pelican dancing on the breeze while relaxing at Dalton on the Lake. You will enjoy luxury bed and breakfast accommodation with inspiring views of Lake Albert. 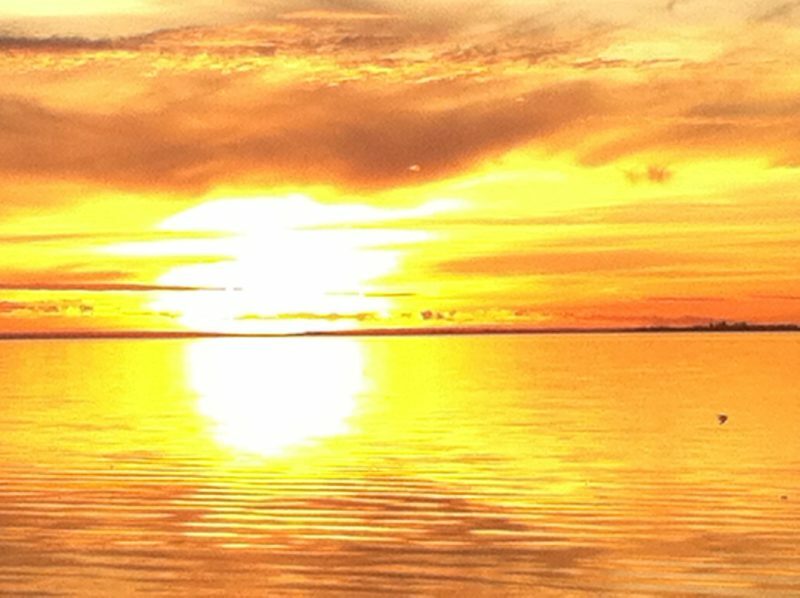 Local bird life is abundant and the magical Coorong only 10 minutes away. Feel at home in our cosy two-bedroom Cottage, original yet fully restored featuring open wood look fires, polished floorboards, a two-person spa and much more. Perfect for an overnight stay, our Studio sleeps two and is wheel chair friendly. Alternatively choose the Apartment, with a bedroom downstairs and large living space upstairs or invite your friends, open the adjoining door and enjoy the whole experience which sleeps up to eight people. Dalton on the Lake is within easy walking distance to restaurants, fabulous golf course, boat ramp, coffee and craft shops and the main street. 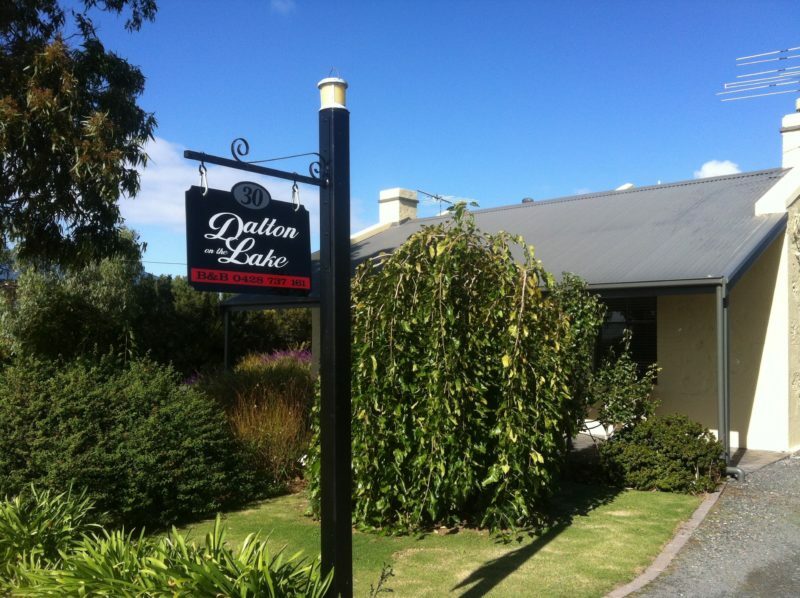 Dalton on the Lake offers the ultimate in accommodation along the Limestone Coast. From Adelaide it is an easy 90 minute drive down the South Eastern Freeway to Princes Highway, a perfect springboard to all the district offers. Arrive to the aroma of freshly baking bread! 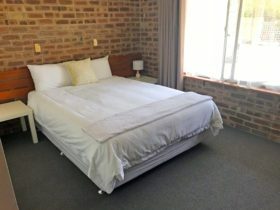 Our Cottage (circa 1890) has two bedrooms, each with one king bed or two king singles, fully equipped kitchen and seperate dining room with large dining table that can seat eight. The bathroom has a shower and spa bath with seperate toilet and second vanity. Guests also have a washing machine and dryer. Outdoors you will find a sheltered barbecue and out door setting and two kayaks that guests are welcome to use at their own risk. All linen and robes are provided along with lots of fresh breakfast goodies for you to prepare at your leisure. Freshly baking bread will welcome you when you arrive at the Studio! 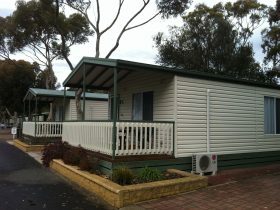 The Studio has a queen bed, fully equipped kitchen, including washing machine and ensuite. 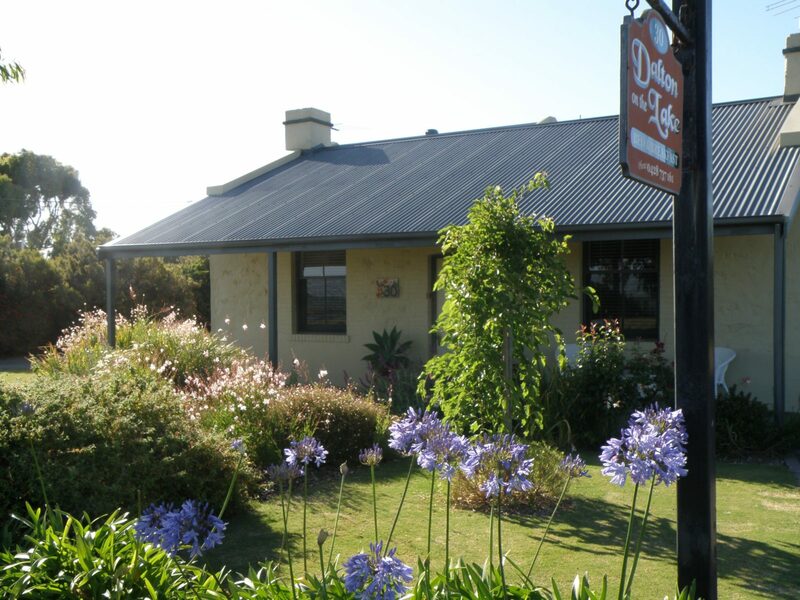 It is perfect for a one night stop over or having a comfortable home base while you are out exploring the Coorong. You can relax in the courtyard overlooking Lake Albert and soak in a magnificent sunset. The Studio is purposely yet subtely built to be wheel chair friendly accommodation. Linen and robes are provided as well as lots of fresh goodies for brekfast for you to prepare at your leisure. 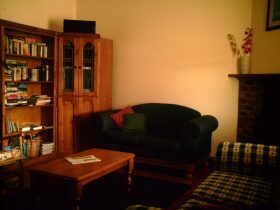 Our Apartment features a large upstairs north facing living area that lets the winter sun pour in. You can sit and relax with a book or take in the views of Lake Albert, the abundant birdlife or magnificent reflections of a unique sunset from the balcony. Downstairs you will find the bedroom with queen size bed, fully equipped kitchen, with washing machine dressing room and ensuite. You will be welcomed with the aroma of freshly baking bread, a pantry stacked with breakfast goodies and quality linen and robes. Guests are welcome to use two kayaks at their own risk. All prices are twin share per night. Additional adult guests $50 per person per night. Children under 16 additional $20 per night.